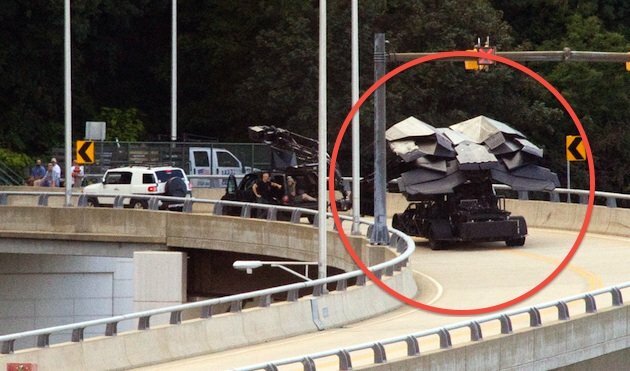 New Images From 'THE DARK KNIGHT RISES' in Pittsburgh Reveal the Batwing? 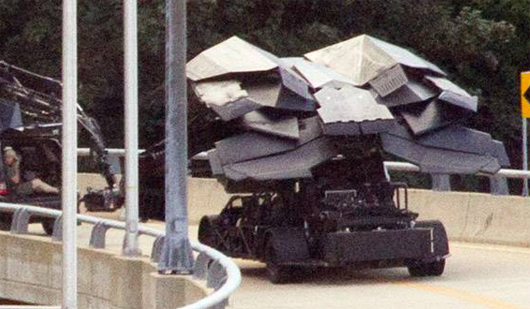 A new image has emerged online from The Dark Knight Rises set in Pittsburgh & judging by its design reveals a new Bat vehicle of some sort. The image comes via @rpetrocelli who uploaded the image on twitter. Its speculated that it is either an aircraft or water based mode of transportation for The Dark Knight. Personally with the stealth casing & fuselage I believe it may be the long rumored "Wraith", a vehicle mentioned to us a few times. That airborne vehicle is essentially a prototype drone but can apparently house Batman beneath it & originates from Wayne Enterprises. Hit the jump for a much closer look. 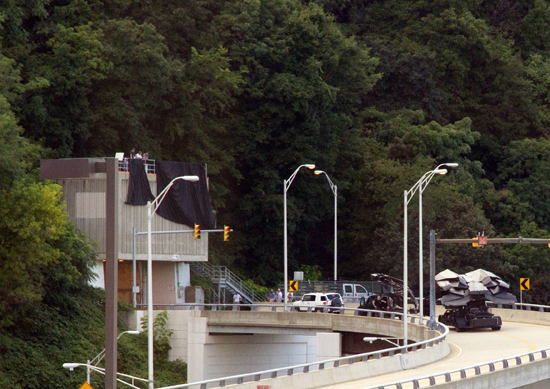 I'm reading: New Images From 'THE DARK KNIGHT RISES' in Pittsburgh Reveal the Batwing?Tweet this!